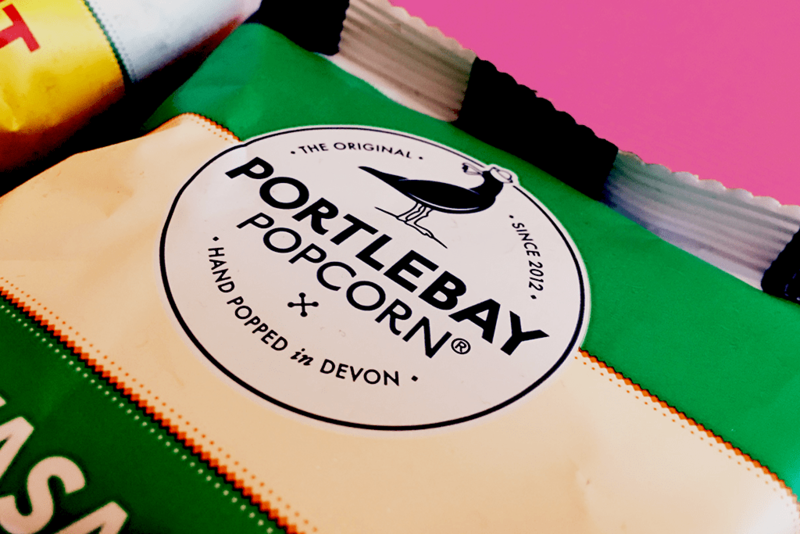 Popcorn is nothing new, however one small Devon based business is trying to shake up what we think of the traditionally expensive, cinema treat. 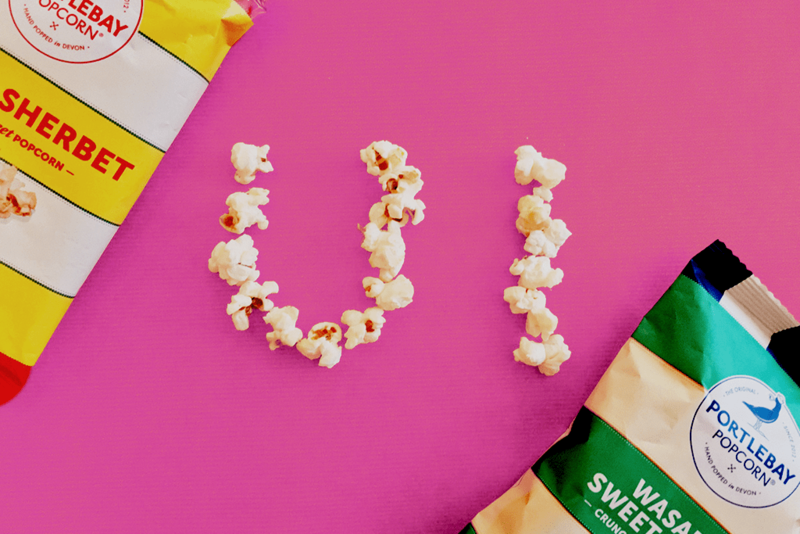 Jumping onto the healthy snack trend, Portlebay popcorn, known as cracklecorn is made with raw cane sugar, adding a more brittle, crunchy texture. It’s also slightly more healthy than your traditional toffee coated snack, with the bag being high in fibre, as it’s a wholegrain popcorn. As if that wasn’t enough a bag is also around 114 calories… Not as bad as some of their competitors! We tried out a selection of the flavours, which include Orchard Wood Smoked Cheedar, Wasabi and Sweet Ginger, Crispy Bacon and Maple Syrup as well as their sweet popcorn range which includes Lemon Sherbet, Cinnamon Swirl, Very Berry and Cappuccino. The flavours vary in strength, and you’ll struggle to find anyone who ‘loves’ every flavour, however our favourite was most definitely the Lemon Sherbet – sweet, crispy and filling. The seasoning added really is something different, and fizzes on your tongue just like a sugar sweet… however it’s crunchy popcorn. Portlebay has shot out of nowhere, with their unique tastes landed them a huge deal with Tesco to stock them across the country. The packaging adds a high end style to the whole affair, plus the product is often stocked for under £1 a bag. Want to try some? Hit this link, where you can order a select, or box of 8 from Amazon!